The Shamrocks program was founded on the premise of supporting local hockey programs, supporting and encouraging multi-sport athletes, and at the same time working to provide the highest caliber ice hockey environment and program for the team-driven female ice hockey players in Vermont who want more and have a true passion for the game. Please Pre-Register by May 2. All skates are at Cairns Arena. For additional information about Tryouts please click on the "Tryout Information" tab on the left. Theteam will be a nationally-bound USAH and will play a Fall schedule similar to past years against top 19U teams that starts in August and runs through November and concludes prior to the start of the VT high school season, which does not start until after Thanksgiving. The team will come together again following the high school hockey season for the New England Regionals. It is understood that players may also be high school fall athletes and not available for every game. The Shamrocks Program is fully supportive of this and we schedule the majority of games on Sunday and Saturday evenings. This Shamrocks team will be a nationally-bound USAH team. Team will play a Fall schedule that starts in August and runs through November and concludes prior to the start of the VT high school season, which does not start until after Thanksgiving. The team will come together again following the high school hockey season for the New England Regionals. If there is enough intreest and depth of talent the Shamrocks may again roster a second 16U team. This will not be decided until immediately after the tryouts in May, so all interested players are strongly encouraged to register in advance for the May tryouts. This team may or may not be a nationally-bound team, but will play a full schedule in the Fall of approximatly 20-25 games and be scheduled for team practices from August to November as ice and schedules allow, running a schedule generaly parallel to the Tier II team. 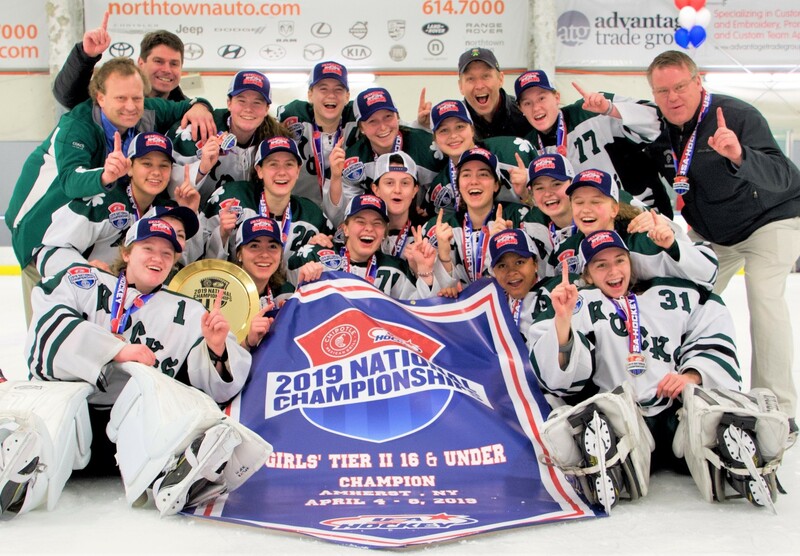 The extent of schedule may also depend on players selected for this team and level of interest, including some weekend events and an additional tournament over Thanksgiving weekend before high school hockey begins.